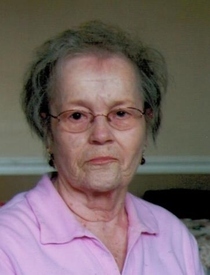 Barbara Jean Patton, 86 of Sullivan, IN passed away Sunday, March 27, 2016 at Sullivan County Community Hospital. Barbara was born May 19, 1929 in Sullivan County, IN, the daughter of Arley Patton and Nelle Eileen Hummel Patton. After 30 years she retired as an insurance clerk. Barbara also did volunteer work at Mary Sherman Hospital and Sullivan County Community Hospital in Sullivan, IN. She was preceded in death by two brothers, Wendell and William Patton, two sisters, Phyllis Patton and June Hoesman, and one nephew, Gary Patton. Survivors include two brothers, Fred Patton of Terre Haute, IN and Wayne Patton (Margaret) of Greenwood, IN, two sisters, Ruth Figg (Benny) of Sullivan, IN and Marjorie Miller of Sullivan, IN, also several nieces and nephews. Funeral services will be held at Newkirk’s Funeral Home in Dugger, IN Wednesday, March 30, 2016 at 1:00 PM with Brother J.B. Smith officiating. Friends may call Wednesday, March 30, 2016 from 11:00 AM until the service. Interment will follow in Woodard Cemetery.